A management expert says John Farrell needs to get tough. Fans of the bumbling Red Sox are seeing blown leads, dropped balls, and base-running gaffes. Experts in management are seeing something less specific to baseball: a manager failing to get the most out of his employees. The skills required to snap the last-place Sox out of their malaise may be different from those used in almost any other industry — not many professions involve whacking a 95-mile-per-hour spheroid — but consultants who advise corporate leaders say there are some common principles that are as applicable on the diamond as in the boardroom. 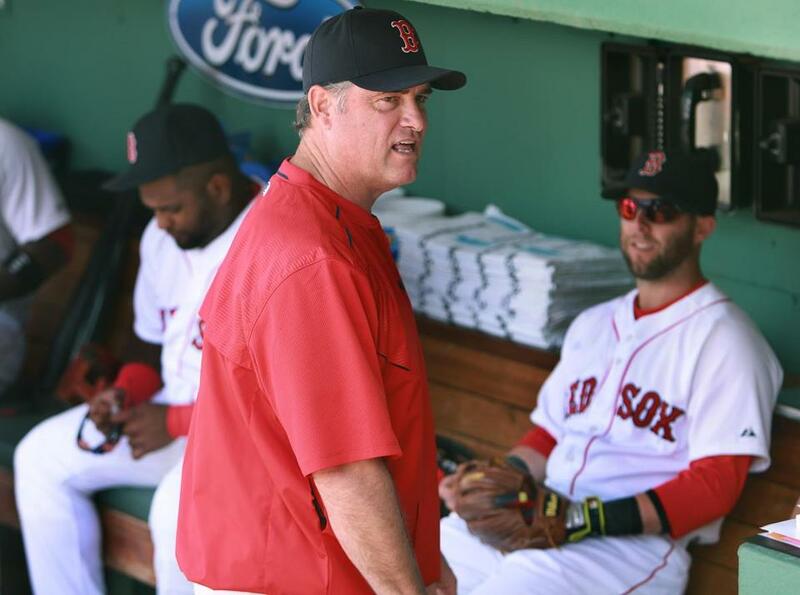 Perhaps most important: Red Sox manager John Farrell needs to assert himself as a strong leader who demands better, and stop making excuses for his subordinates, according to experts who specialize in turning around struggling businesses. That means figuring out what motivates his multimillionaire workers, some of whom may be complacent after previous successes, and are routinely botching tasks they once performed well (namely pitching and hitting). The Red Sox had another team meeting — and then played more lethargic baseball. What do they do now? First though, Farrell has to get tough with players who are slumping, slacking off, or challenging his authority, even if it makes him unpopular in the short term, said Bob Kelleher, president of the Employee Engagement Group, a Woburn consulting firm. The incident cited by Kelleher featured a disgruntled Miley yelling at Farrell in the dugout after being pulled from a game in Baltimore on Thursday. TV cameras captured the heated exchange, which followed the pitcher’s surrender of five runs — including three home runs — in just four innings. 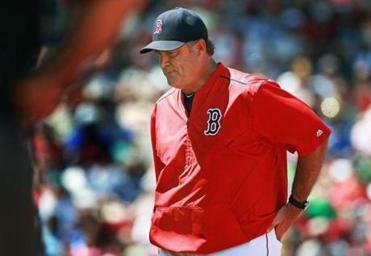 Farrell said the next day that “the outburst in the dugout was something that was unacceptable. I won’t stand for it.” But he also said Miley would not be fined, and the lefty remains scheduled to take his next turn in the starting rotation against the Atlanta Braves on Tuesday. Some frustrated fans have been calling for a major shake-up — for the Red Sox front office to fire Farrell, or trade underachievers like new third baseman Pablo Sandoval, who came to Boston as a free agent this season on a five-year, $95 million deal. With no big changes imminent, it is seemingly up to Farrell to start winning with the players he has. That means laying out a clear plan for moving up the American League East standings and getting the club’s most influential members to buy into it, said Eric Cormier, a human resources specialist at the Waltham office of Insperity, a Houston firm that advises companies on maximizing employee performance. Farrell held a 45-minute meeting with five veteran players after an 8-0 loss in Texas late last month, but the session did not jolt the team into form. The Sox lost nine of their next 14 games. Any list of Red Sox leaders typically starts with David Ortiz and Dustin Pedroia, but even those stalwarts have had their struggles. Ortiz is hitting .229 this season, and Farrell has indicated the designated hitter will see limited action against left-handed pitching in the near future. Pedroia, solid at the plate again this year, didn’t look much like a four-time Gold Glove Award winner over the weekend when he lost two fly balls in the sun on Sunday. Consultants — those willing to offer advice, anyway — agreed that Farrell is in a difficult position. But some of the country’s most sought-after firms, including Bain & Co., Boston Consulting Group, Ernst & Young, Deloitte Consulting, and McKinsey & Company, either declined to share management tips for the Sox skipper or did not respond before publication. Joshua Sky, founder of Sky’s the Limit Consulting in Estero, Fla., near the Red Sox’s spring training facility, said players’ hefty salaries are a complicating factor. He said he has helped many business managers wring better performance from their staffs, but a fundamental motivator is usually workers’ need to keep their jobs. Baseball contracts are fully guaranteed, meaning the Sox would have to continue paying any player they let go. And many stars — unless they have squandered their massive earnings — were set for life long ago.